Dr Harry Witchel is a highly respected TV Scientist, Communication and Body Language expert based at the Brighton and Sussex Medical School. He is best known for his appearances on Big Brother, Radio 4 and BBC News, where he presents practical and clear science for body language, music, dating, communication and the relationship between the mind and the body. He offers knowledgeable and entertaining contributions to the media and is a brilliant and popular speaker. Dr Harry Witchel began his academic career with a Bachelor’s degree in Physics at Columbia University (New York). 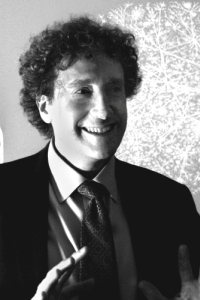 After earning a Ph.D. in Physiology from the University of California at Berkeley, Dr. Witchel relocated to the UK, and continued his research at the University of Bristol for over a decade, where he was a Senior Research Fellow. In 2004, Dr Harry Witchel received the highest national honour for Science Communication in the biological sciences when he was awarded The Charles Darwin Award Lecture by the British Science Association. 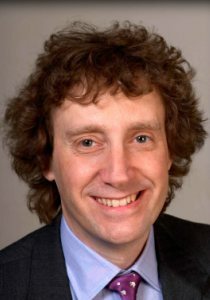 He has published over 70 peer-reviewed papers in the scientific literature, and he has consulted and performed experiments for multinational corporations including Honda, Tesco, DHL and Nokia as well as for national professional organisations for a variety of clients including solicitors and mediators. Particularly well known for his music presentations with live music and his expert dating workshops, Dr. Witchel likes to use science to engage with young people, to help safeguard that enough excellent and talented young people are inspired to become the scientists of tomorrow. His book, ‘ You Are What You Hear: How Music and Territory Make Us Who We Are,’ explores the human relationship with music and how we are shaped as people because of it. Is it possible to tell whether somebody is lying just by looking at them? How do some people seem to transmit an air of command that others feel compelled to respond to? Can you tell whether somebody fancies you before you take a chance on talking to them? TV Scientist and Body Language Expert Dr. Harry Witchel of Brighton and Sussex Medical School is your guide through the fascinating world of non-verbal communication, in which even something as simple as a smile can mean anything from “I love you” to “I’m going to kill you.” In this event, Harry — who has explained body language on Big Brother and Newsnight with Jeremy Paxman — takes you beyond the pop science books to uncover what you will never see on television: the real science behind non-verbal communication. He debunks the worst of the body language mythology, and he demonstrates how body language does (and sometimes does not) reveal the truth about what is really occurring in a person’s mind — and with their emotions. What does it take to negotiate a deal? How do you recognise when the other side is about to crack, and how can you distinguish it from a moment before they are about to walk away from the table? How does your body language influence the other side? Dr Harry Witchel uses science, unique films and audience participation to demonstrate the in’s and out’s of negotiation, which is at the very core of our daily lives — not just with our businesses, but with children, friends, strangers and partners as well. Dr Harry Witchel presents a dynamic, multimedia presentation of various commercial scientific experiments he has been involved with. From the physiology and psychology of buying a mobile phone or a car to performing a lie detector test on a world class athlete just before her participation in the Olympics. Dr Witchel explains how science has become a central part of the commercial world and how its influence has made a difference in the way corporations sell themselves and their products and services to us. ‘Big Brother: On The Couch’ (C4) ‘BBC News’ (BBC) ‘Big Brother On The Couch’ x3 (C4) Tiger Aspect, The Learning Channel, Discovery USA ‘The Truth about Food’ (BBC 2) ‘Newsnight’ (BBC 2) ‘Big Brother’s Big Brain’ x3 (C4) ‘Weekly News’ (Legal TV) ‘Breakfast News’ (BBC 2) ‘Xchange’ (CBBC) ‘6 O’clock News’ (BBC 1) ‘Big Brother 6 (C4) Mind Games’ (BBC Television) ‘Panic Attacks’ (Einstein Television/The Discovery Channel) ‘PM’ (BBC Radio 4) ‘Haha Sacience with Nick Baker’ (BBC Radio 4) ‘Communications Revolution’ (BBC World Service) ‘Chris Evans drivetime’ (BBC Radio 2) ‘PM with Eddie Mair’ (BBC Radio 4) ‘The Agony and the Ecstacy’ (BBC Radio 3) ‘Outlook with Heather Paton’ (BBC World Service) ‘PM with Eddie Mair’ (BBC Radio 4) ‘Material World with Quentin Cooper’ (BBC Radio 4) ‘Midweek with Libby Purves’ (BBC Radio 4) ‘Music, Pleasure and the Brain’ (Classic FM) ‘Derek Moony Show’ (PTE Radio Dublin) ‘The World Revealed’ (WRCT 88.5 FM Pittsburgh) ‘As It Happens’ (Canadian Broadcasting Corporation) (Toronto) ‘Bernard McMullan show’ (Irish National Radio) (Dublin) BBC News 24 BBC Radio 5 Live BBC Asian Network and numerous local radio stations. Interested in Dr Harry Witchel?